Everyone! 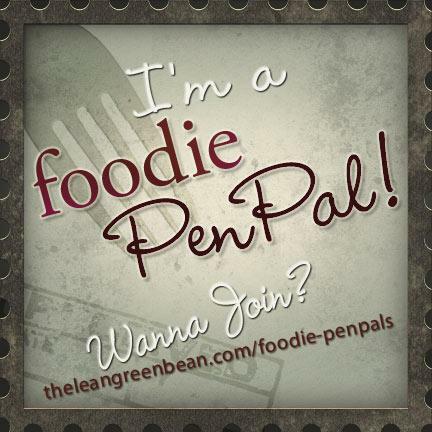 It's time for another month of foodie pen pals! 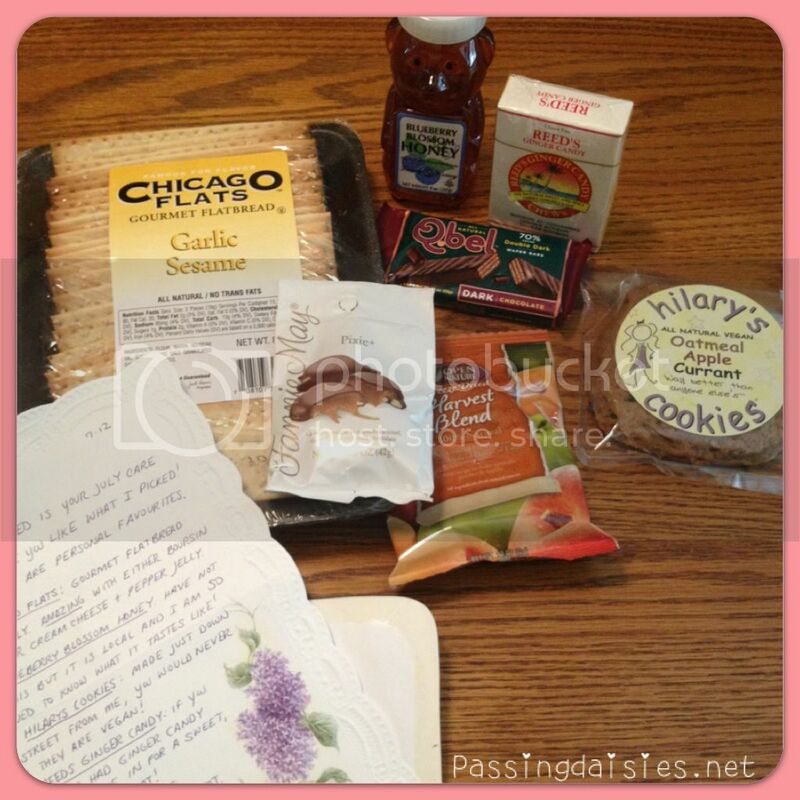 This month, my pen pal was Carolynne from Chicago, IL. She didn't disappoint with her box. She even listened to what I said when she asked about things I love! I told her I was interested in flavored honeys recently, and she sent me a bottle of blueberry blossom honey. After trying it, I realized it was just honey harvested from blueberry plants - not blueberry flavored But still delicious! I used it on some banana chips I made a week ago and they were delicious. Something exciting was that the cookie was from a local vegan bakery! How cool is that? It was really moist and delicious. Full of flavor. I loved it. I already know I love those ginger chews, so that was exciting. The freeze dried fruit made a great snack while I was working on the school newspaper, and the pecan turtle was very chocolate-y and caramel-y. The crackers were crunchy and delicious. I still haven't tried to Qbel, but I can't wait. That is something that I have been wanting to try for a long time! Not to mention, Carolynne has great handwriting. Thanks for the package, Carolynne! 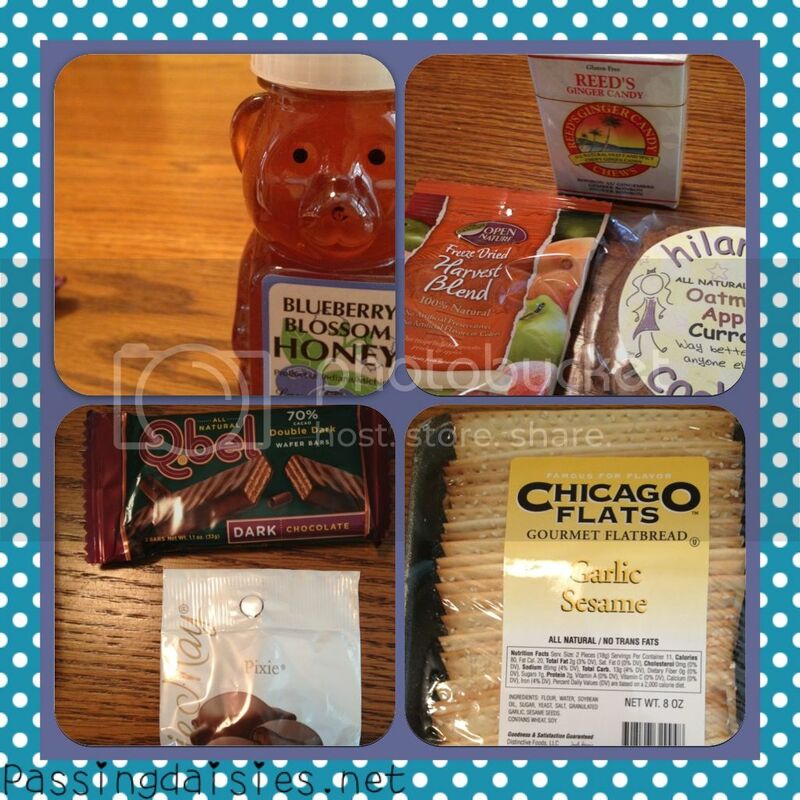 I love these packages because I always get to try something brand new! what a great box of delicious goodies! yum!